He went on to summarize his education; battle experience at Berkeley; migration back to Harvard; further battle experience in an “academic Munich” at the University in the late 1960s; and subsequent drafting as FAS dean. He served as a Fellow of the Harvard Corporation. And so on. Beyond the résumé, those privileged to have worked in proximity to Henry Rosovsky know him to be a scholar of high distinction; a broad thinker about the unique role and importance of research universities; an advocate for and embodiment of their values; and—rarest still—a manager and leader of extraordinary skill. The stories told about him all illustrate his deft ability to define problems and think through solutions, and his subsequent selfless commitment to effecting them. All those traits shone when FAS adopted the undergraduate Core Curriculum, one of the intellectual legacies of his deanship. Lillian Ross’s 1978 New Yorker profile of that work is titled, “An Educated Person.” The title alludes to the curriculum, but its application to Rosovsky himself seems even more apt. Trained as an economist, he is most of all a humanist, and a champion at that: widely read, worldly, engaged by new people and ideas, judicious and competent in every realm—and warm and funny. The magazine is much the stronger for his leadership and guidance since 2006, a very turbulent period economically and in publishing. But that pales compared to his service to Harvard, which began when he enrolled as a graduate student in the late 1940s. 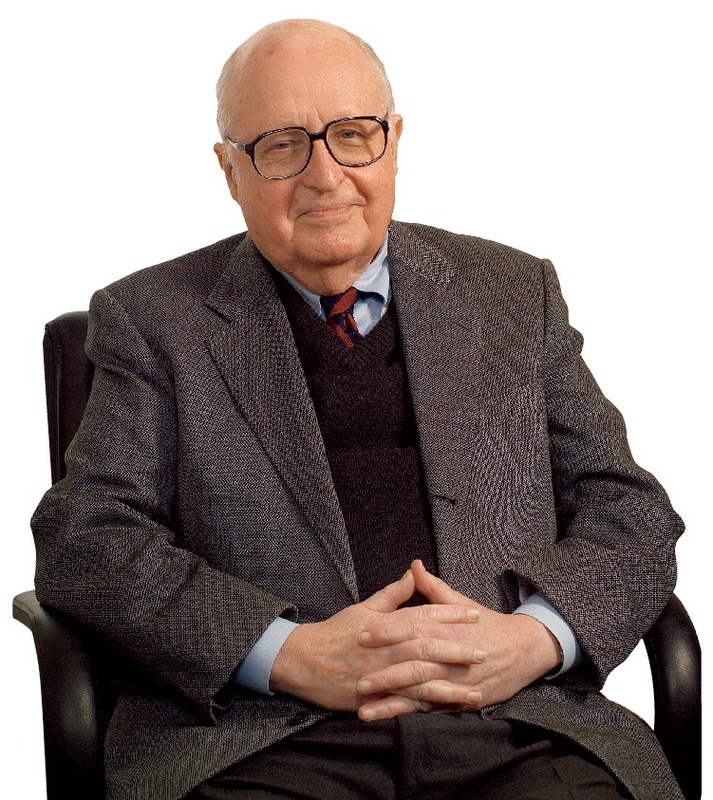 Henry Rosovsky has been one of the signal builders of the modern University, and one of the leading proponents of the idea of the university around the planet. Two of his great partners in that work attended the October 23 meeting to celebrate what he has meant: Nitza Rosovsky, his life partner, whom he met 60 years ago; and President Derek Bok, with whom Rosovsky collaborated so effectively for so many years to the greater good of Harvard—and the wider world. In speaking about their work together, President Bok related an essential story about his friend. He recalled learning, in 1973, that FAS’s then dean, the redoubtable John Dunlop, was departing at once to join the Nixon administration—a shock, because the faculty was deeply divided between liberals sympathetic to student complaints about Harvard and the wider world and conservatives outraged at their colleagues’ accommodation of the students. Both sides felt alienated from the administration, too. Only Dunlop, a seasoned labor negotiator, seemed able to keep the place together. But, Bok said, he conducted a search, asked Rosovsky to lead FAS, and prevailed despite “a few, rather flimsy” objections. Why was it, he then asked, that Rosovsky was always sought after, and why did he always acquit himself so well, “evoking the most enthusiastic response” from those who had seen him in action—whether his decisions were in their interest or not? That remains an elemental truth, so we and many other members of this community are delighted (and relieved) that Henry Rosovsky, freed from his formal responsibilities, remains ever available for conversation—and the wisest counsel on offer.